At first, I thought about writing a agnostically-charge article about the abuse of religious spending in developing nations. I thought about writing about what a shame it was that wherever I travel in the developing world different religious organizations spend millions of dollars on grand gestures to their gods rather than spending it on development. 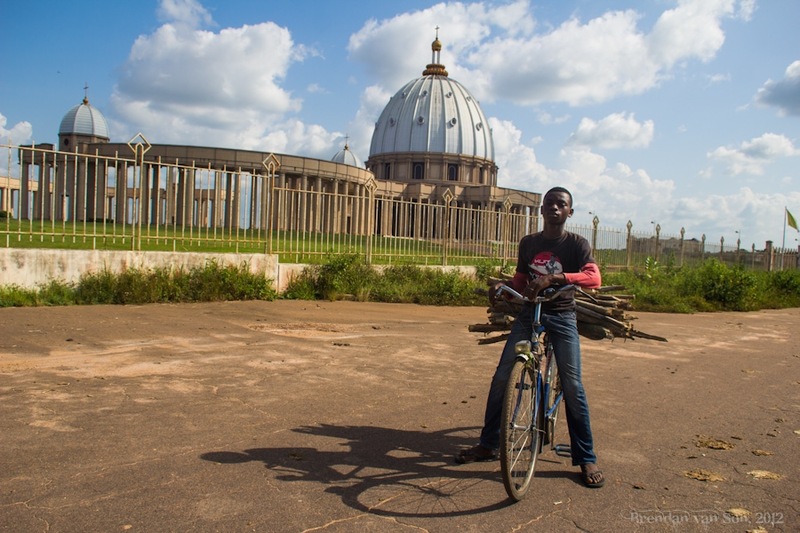 I thought about writing about how Yamoussoukro Basilica cost around $300 million to build, about $115 million of that being public money, and how it costs something like $10,000 a day just to operate, while the streets out front are lined with people, many of whom won’t make that much money over the span of a decade. 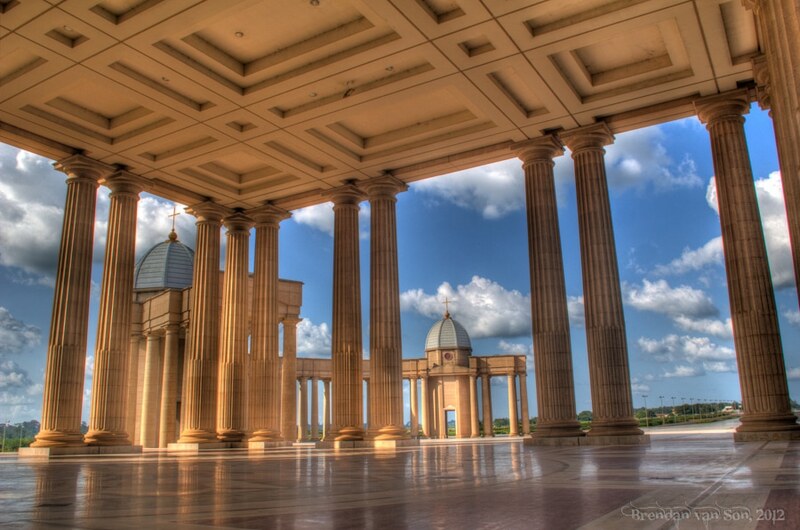 I mean seriously, a multi-million dollar church in West Africa? I thought about writing a piece about the need for division between church and state, and how religious groups should be treated as businesses just the same as any. 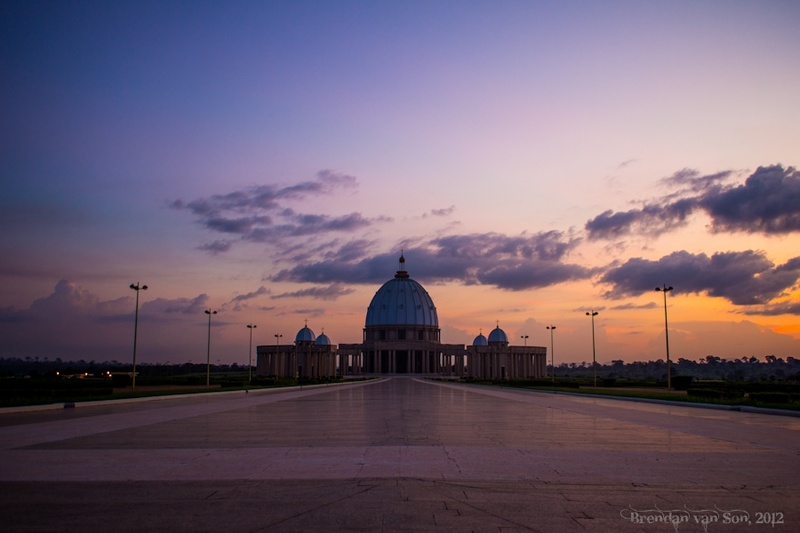 However, at the end of the day I couldn’t muster up enough energy to deal with the thoughts that swirled through my brain after visiting the famous Yamoussoukro Basilica in Cote d’Ivoire. You may want to call my lack of a rant a “gift from god” or perhaps it’s just good old fashioned laziness. Be it as it may, you’re not going to find such a rant here. I decided that after a lengthy election season, not only in America but parts of West Africa, that I had enough of debates. 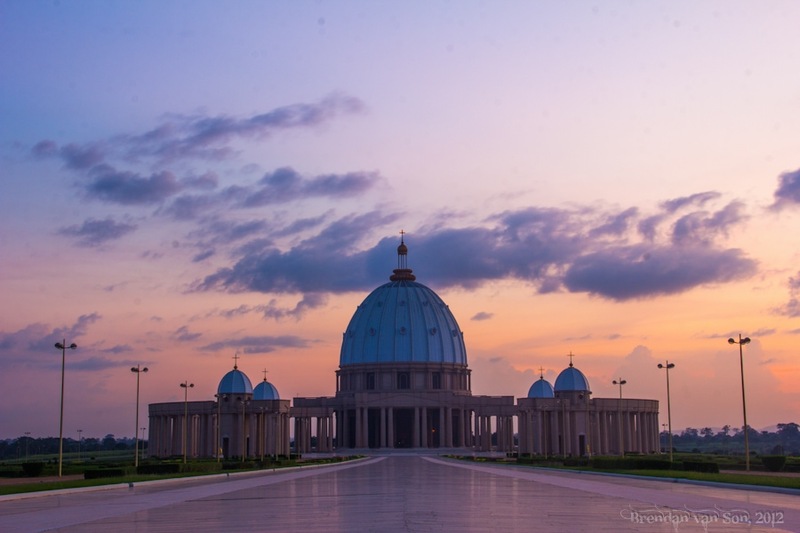 Thus, I have decided to post instead something that is not debatable Yamoussoukro Basilica is beautiful. It is absolutely stunning. In all honesty, when you set aside the obvious contention, the size, scale and symmetry (I couldn’t think of another “s” word to finish out that alliteration) of this church is breath-taking. Despite all the issues that I might have had, and still have, about this building, I can honestly say that it is one of the most impressive cathedrals I have ever seen. 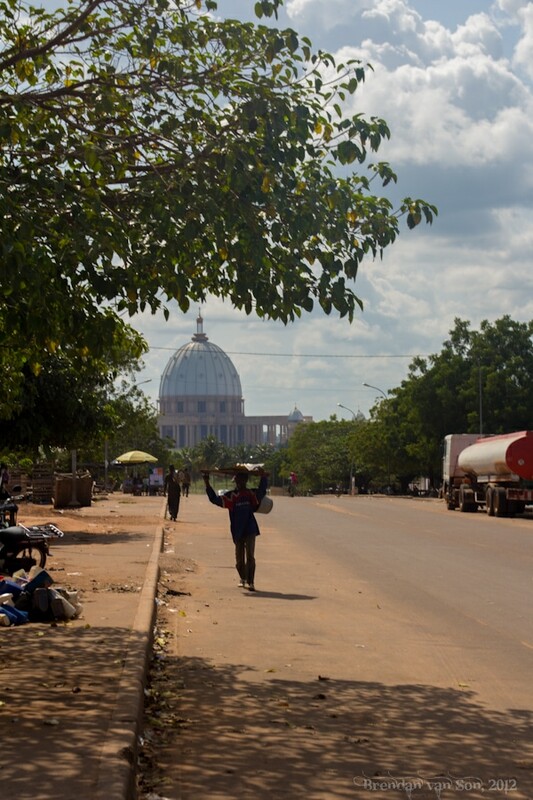 And the fact that it sits in the middle of nowhere in Central Cote d’Ivoire makes it even more impressive to see. 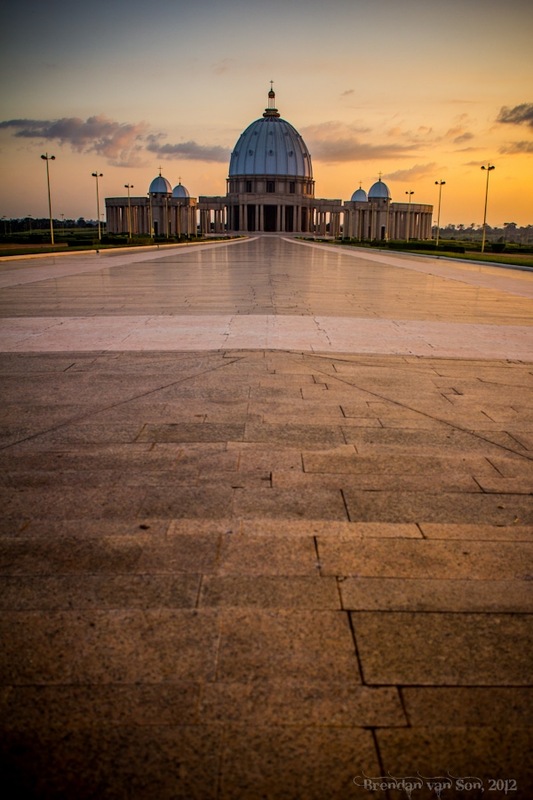 So enough rambling, here are more than a few photos of Yamoussoukro Basilica. When you ask them how they could spend $300 million on a church here, their answer is “were there no poor people in England when the cathedrals were built?” True, but does that make it right? Before arriving at the basilica I met this kid. 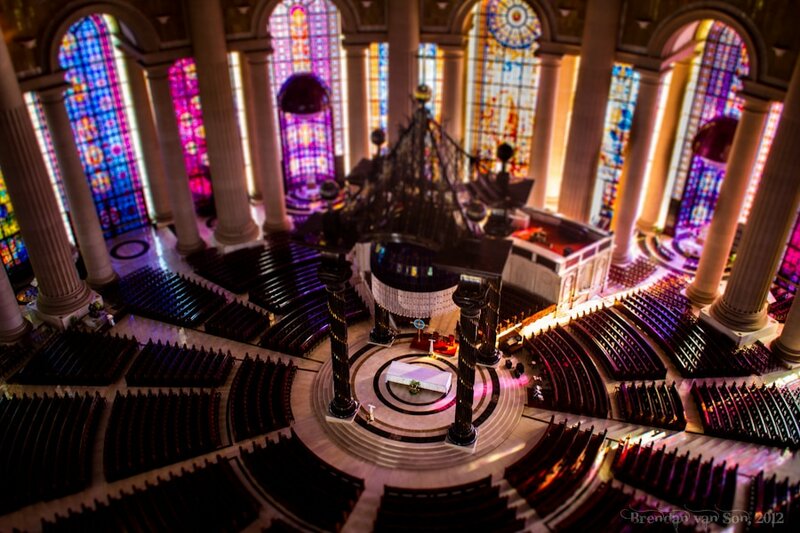 When I asked him if he liked the church, he said it was beautiful. When I asked him what he could buy with the $10,000 a day they spend on it he laughed and said “anything I wanted”. 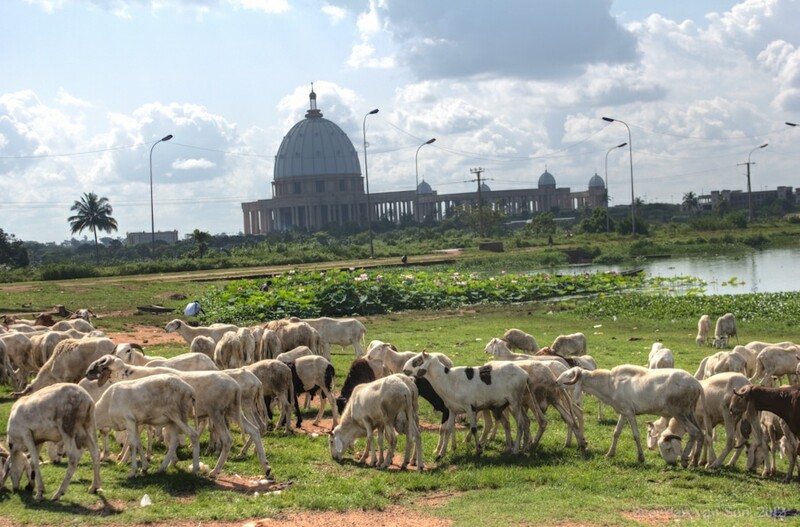 Some sheep herders on the land in front of the basilica… am I in ancient Babylon? 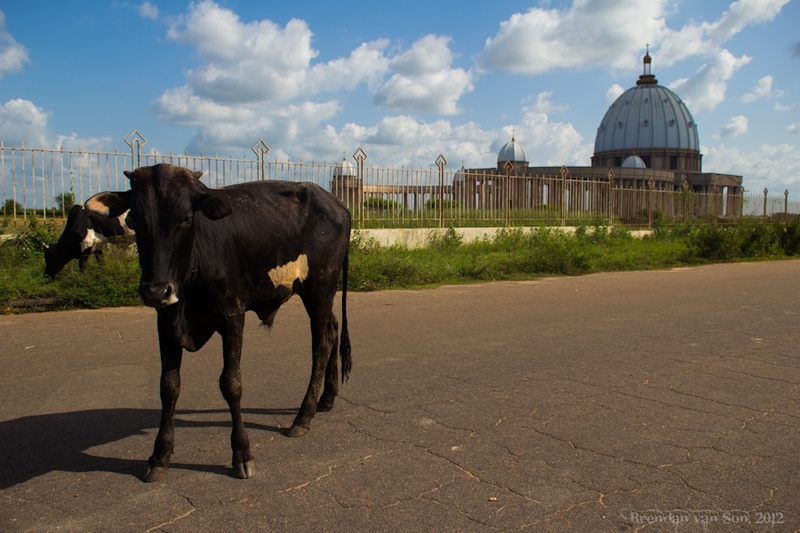 Could you imagine a cow wandering the streets in front of St. Paul’s Cathedral in the Vatican? I was only allowed one picture on the inside. It was dark, so difficult to capture the design and colour. If you put all social aspects aside, there’s no doubting this is a beautiful building. 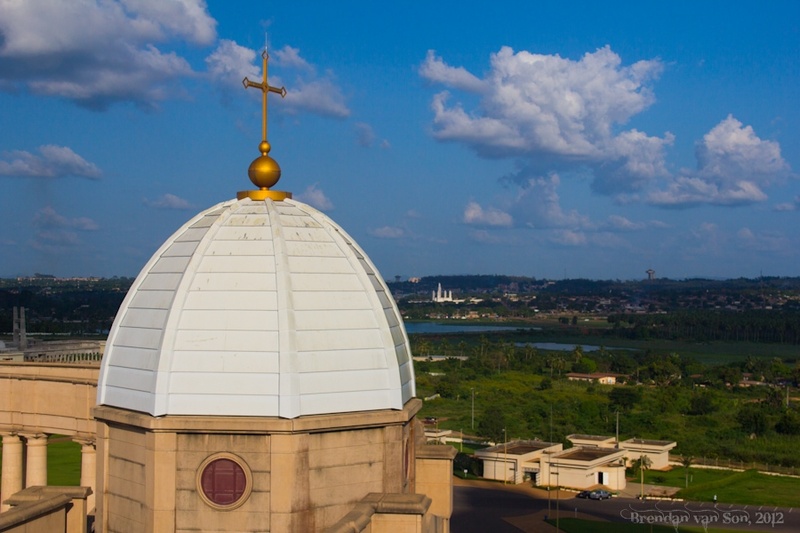 From the top of the basilica looking out. This place is literally built in the middle of nowhere. The basilica was build in the same style as St. Paul’s but with the golden cross at the top, this one is actually taller. I believe it is the tallest basilica in the world. All debating aside, it really is a beautiful place! So glad I stopped by to visit too – thanks! There was one time when I was still in high school I had a debate with one of my friends about whether it’s ethical or not spending so much money on religious places while in fact a lot of people can benefit from that money to improve their lives. He argued that most people would actually feel proud and happy for having beautiful and magnificent places of worship despite their arduous lives. Oh, wow, these pictures are great!